“Whoever gives me love, I just give love back. 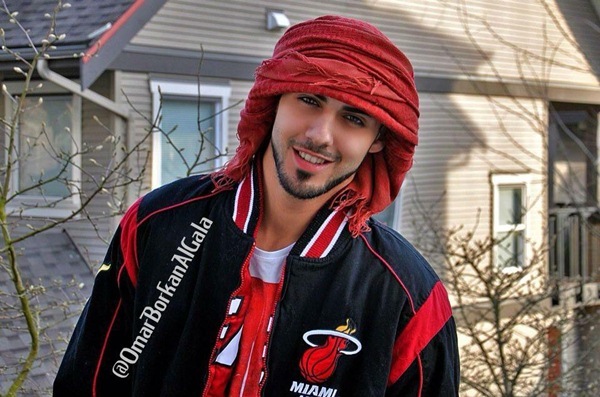 Whoever says ‘I love you,’ I say, ‘I love you too,’” 25-year-old Emirati photographer, actor, and model Omar Borkan Al Gala answered when asked to respond to all the attention that he’s getting from his fans from all around the world. Regardless of whether the reports are true, Al Gala has already enjoyed a huge boost to his online popularity as “The Man Too Handsome for Saudi Arabia.” Comments like “You’re so handsome!” and “Marry me!” are posted all over his Facebook page, which is now nearing one million likes. Watch the full interview with Omar Borkan Al Gala via Facetime in the video below. Salih also believes that Al Gala is more than just his good looks. The proud manager says Al Gala also wants to share his photography with the world. Now, the new internet sensation is set to star in UAE’s first short film “51” alongside “Homeland” star Navid Negahban, Mylène Gomera, Dana Hamdan and Rik Aby. When asked if Al Gala has plans of visiting the Philippines, Salih said they’ll continue to stay connected and as long as his fans are tuned in and committed, the possibilities for Al Gala are endless.